State Department spokeswoman says U.S. talks with North Korea on denuclearization are making progress. The United States’ talks with North Korea on denuclearization are making progress "in the right direction," State Department spokeswoman Heather Nauert said on Tuesday, according to AFP. Nauert said behind-the-scenes discussions with Pyongyang have normalized in the wake of President Donald Trump's June summit with North Korean leader Kim Jong Un and subsequent meetings between Secretary of State Mike Pompeo and other top officials in Pyongyang. "We consider meetings, negotiations, conversations as we move forward behind the scenes with those negotiations to be moving in the right direction," Nauert was quoted as having said in a press briefing. "Conversations with the government of North Korea are becoming a far more normal matter," she added. The comments came a day after North and South Korea announced they had agreed to hold a summit in Pyongyang in September. Nauert would not provide details of the talks - where they were taking place, who is involved, or what issues are currently under discussion. She reiterated, however, the American view that Kim told Trump he was willing to denuclearize, which is the primary U.S. goal of the discussions. "We continue to have those conversations because Chairman Kim has committed to President Trump that they are willing to denuclearize. And so we will continue in a full good faith effort to have those conversations move forward," said Nauert. 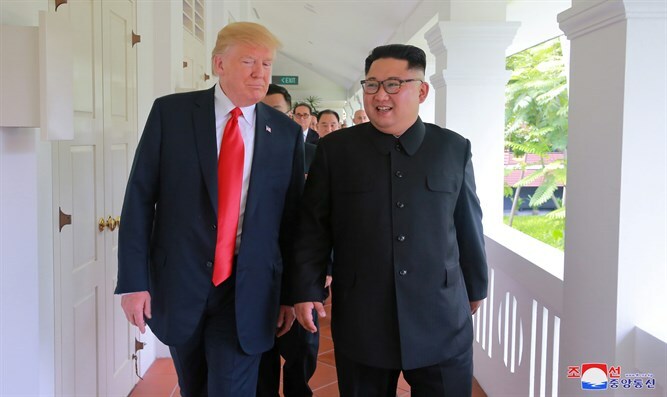 During the historic summit between Trump and Kim in Singapore in June, the two leaders signed an agreement including a commitment to achieve total denuclearization of Korea, with promises to pursue “vigorous negotiations” to that end. U.S. National Security Advisor John Bolton said last week that North Korea had not yet taken significant steps to get rid of its nuclear weapons project.